The Corps of Royal Engineers has a long history of being at the forefront of military engineering. Coinciding with 2018 as the Year of Engineering and the 200th anniversary of ICE, the lecture will celebrate innovative achievements in civil and military engineering. With major advancement in innovative technologies which is driving change and to inspire future generations, this joint event will focus on the subject of tunnelling, subterranean structures and the range of the experimentation and development work underway within the Royal Engineers, linking the Corps' history from the strategic tunnelling operations in the First World War and some of the large civilian construction projects such as HS2, Crossrail and Thames Tideway. The presentations will be followed by a drinks and canapés reception, offering an excellent opportunity for networking and further discussion on the topic. Brigadier Eldon Millar was brought up and educated in South India and the Scottish Highlands, graduating with an MA in International Relations before commissioning into the Royal Engineers. At Regimental Duty he has served across the Corps. After Germany based Troop Command appointments he returned to the UK as Operations Officer for 5 Field Squadron in Canada, Oman and Bosnia. Following Army Junior Division he served as the Adjutant for a tour which included a Regimental deployment to Iraq. 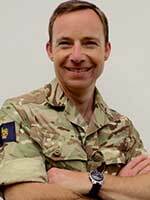 Following EOD training, he commanded 58 Field Squadron (EOD) on operations in the UK and Afghanistan and later he was privileged to return to Wimbish to command 33 Engineer Regiment. He has deployed on operations in the Balkans, Africa, the Middle East and Afghanistan. On promotion to Colonel he returned to the Operations Directorate as Assistant Head (Military) Africa and Head of the Defence Crisis Management Centre. He is a graduate of the Canadian Forces' Joint Command and Staff Programme and the UK's Higher Command and Staff Course. He assumed command of 8 Engineer Brigade in August 2017. He is a keen canoeist, enthusiastic cyclist, ever hopeful fan of Scottish rugby and takes great delight in introducing his children to the joys of the mountains. Syinyi Phoon is a programme management professional with CH2M (now Jacobs). She is currently project managing the establishment of the Sponsor Body that will be the top tier ownership and leadership structure of the Palace of Westminster, Restoration & Renewal programme – the next multi-billion project in central London. She previously worked as the NEC3 project manager for the Tideway System Integrator contract responsible for providing control and communication systems for operation, maintenance and reporting across the Thames Tideway Tunnel. Prior to joining Tideway, Syinyi played a key role in delivering the industry's first Crossrail Innovation Programme (Innovate18), capturing and sharing innovations. She project managed innovation portfolio of 400+ innovations, brokering partnership, sourcing capabilities, developing new ideas from inception to implementation. She also supported the setting up of the Infrastructure Industry Innovation Platform (I3P), now the focus for innovation activity across the whole industry and the underpinning mechanism for delivering the construction sector deal. 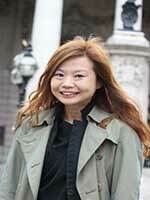 Syinyi's background is in civil engineering with specialism in water, trend forecasting, data analytics and innovation. She spent the first 12 years of her career as a technical specialist in research and design consultancy, turning ideas to concepts and eventually multi-benefits projects. Her project experience includes highways, power plant, ports & harbours, on/offshore windfarm, quarry, landfill, flood protection and drainage. Her PhD research was on the effects of climate change on river flows. Syinyi is also a member of the Institution of Civil Engineer. Holding both Bachelor and Master's degrees in engineering Tim is a chartered civil engineer with over thirty years experience in design and management of major infrastructure projects. 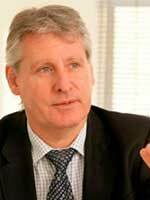 He is International Director for high speed rail at CH2M and is seconded to HS2 as Chief Engineer where he also acted as expert witness for the Hybrid Bill in Parliament. Prior to joining the HS2 team he played a significant role in developing high speed rail in the UK in his position as Engineering Director at HS1 which links London at St Pancras with the continent via the Channel Tunnel. 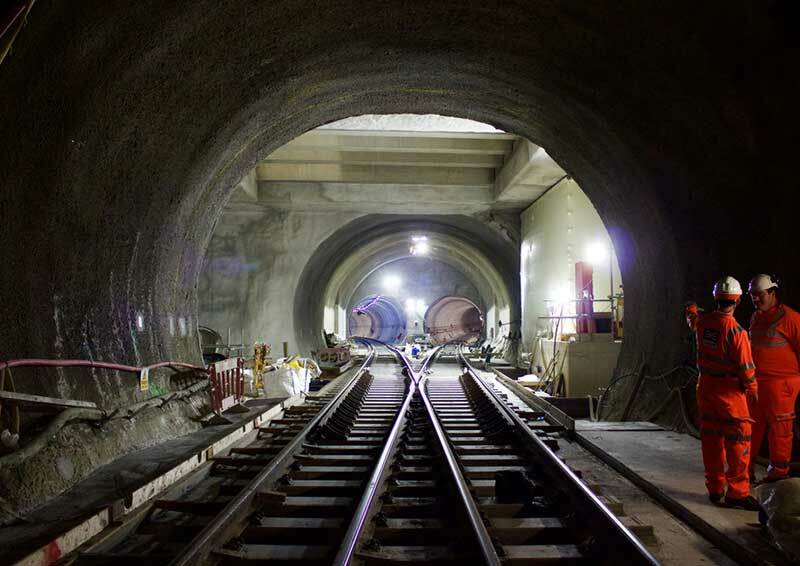 Tim has been involved with tunnelling throughout his career on projects such as the Jubilee Line Extension and Conwy and Penmeanbach tunnels in North Wales and various projects at Thames Water. Maj Perry Bishop RE commissioned from the Royal Military Academy Sandhurst in 2005, after reading a War Studies Degree at Kings College London. As a young officer, he served in a variety of roles, including EOD and Search, Amphibious Engineering and General Support Engineering. Early accomplishments include the design and construction of the first IED training lane in Camp Bastion in Afghanistan and involvement in the design and delivery of the life-saving counter-IED drill, Op BARMA. 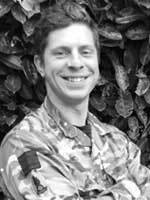 After attending an MSc in Battlespace Technology at Shrivenham, he shifted to the dark arts of Programme and Project Management; helping get the Army's new Battlefield Land Rover through a number of delivery gates, and writing the core of the Army's Whole Force Approach doctrine. Since May 2015 he has commanded 52 Armoured Engineer Squadron, where his highlights have been deploying them to Iraq to support the offensive to recapture Mosul and on Ex IRON STRIKE to test the Army's new STRIKE Brigade doctrine. More recently he deployed his Squadron on a 3 month construction exercise to the Canadian Prairie, which involved delivering two remote tasks in conditions down to -40'c on a fragile 40km line of communication. In his spare time he enjoys Military History, skiing and maintaining his Triumph Stag; which he considers his greatest engineering achievement. 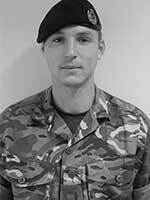 Cpl Baskett joined the Army on the 8 September 2005. After completing training, he was posted to 38 Engineer Regiment, Ripon as a ME Fitter General. During his time there he deployed to Afghanistan on Op HERRICK 10 and16, before promoting to Lance Corporal. After completing his ME Fitter Equipment Class 1 in August 2013, he was posted into a REME Light Aid Detachment (LAD) at 36 Engineer Regiment, Maidstone, where he serviced and repaired military plant and B vehicles. Following his promotion to Corporal, he posted to ATR Winchester in the role of All Arms Physical Training Instructor before posting to 52 Armoured Engineer Squadron in September 2017. He holds a number of civilian accreditations, such as NVQs in Engineering Maintenance & Installation, Leadership & Management, and Education & Teaching. He is also currently working towards his level 7 certification in Terrorism Studies. He is a keen sportsman and active member of the Royal Engineers Field Gun team, having represented the Corps on a number of occasions.